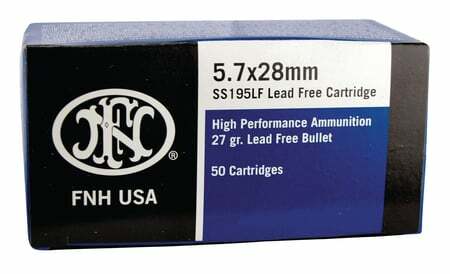 Lead free primer and incorporates a 27 grain projectile having a lead free metallic core encased within a conventional hollow point jacket. Intended for use on indoor ranges or wherever potential lead contamination is a concern. Fifty rounds per box, forty boxes per case, 2000 rounds per case.